Our hall is available for rent for weddings and other events. Information is available here. For further information on our events, check out our events page here. 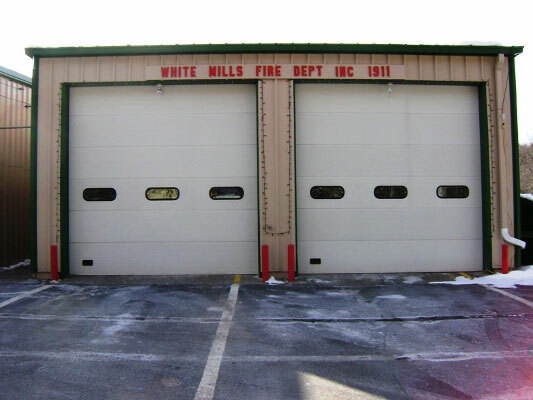 White Mills Volunteer Fire Department was established in 1911 and is located in White Mills, PA. We serve White Mills and surrounding areas. We are responsible for responding to fires, automotive accidents, natural disasters and other emergency situations. White Mills Fire Department has been responding and growing with the needs of the local community for 100 years. Over the past 100 years, White Mills Fire Department has evolved to provide fire and more recently ambulance services to the community. For more information on the history of the department, please visit our history page. If you would like to join the department, you can find out more information here.